Do you need a right shooting form to be a good shooter in basketball? People may look at basketball in different ways, but the most pleasant thing for me to do while watching a basketball is to see good shooters shoot the ball. 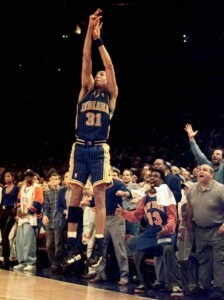 In my opinion, there is nothing better when you see a player shoot in a beautiful form and then swish the shot. With that being said, it will be painful and even funny to watch a player pull up an ugly jump shot and make it, especially when they are making big time shots against your team. One may wonder how could that kind of jump shot ever success, and how could someone who shoots like that ever survive in the most competitive sports in the world? Here comes the question, do you really need a good shooting form to be a good shooter in basketball? Looking back at the history of NBA, which is one of the most competitive professional sports league in the world, many players had found themselves a role in the league simply by being good shooter. 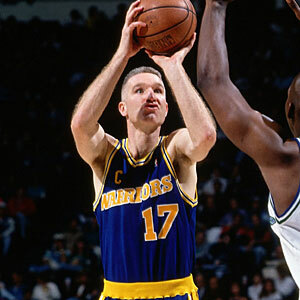 Great example such as Larry Bird , Chris Mullin, , Reggie Miller and Ray Allen they all have their unique shooting style. Shooting a basketball seems easy, and everybody who ever played basketball could make a shot if you give them plenty of chances, but the key to consistency is the proper shooting form and mechanism. No matter how many shots one could make in a row, it is totally different in the real game, therefore practicing the fundamentals is the first but the most important steps to become a good shooter. It requires a lot of key elements to shoot well in the game, such as concentration, hand eye coordination, muscle strength and a big heart. 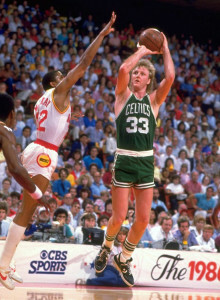 As a great shooter, Larry Bird once admit that he had a bad shooting form. However, he did mention that in order to be a good shooter you do not need a good shooting form, what really matters is the dedication and the repetition. If one practices two thousand shot a day, and keep practicing everyday, he would eventually become a good shooter because all his muscle had the memory of how much strength and energy you have to put in to make a shot. Nevertheless, Rob Babcock, the general manager of the Toronto Raptors stated that a good shooting forms could help one improve his shooting ability faster. This Theory had been proved widely among the basketball world and emphasized more in nowadays’ games. As sports training are getting more scientific, people started to pay attention to how a good shooting form could benefit a player. One could tell the significance of shooting forms from all the shooting tutorials online. 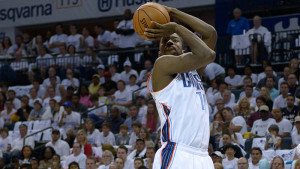 In sum, a good shooting forms could be an important but not necessary factor to be a good shooter. While it could help player to develop their shots faster and properly, it is also to emphasize the repetition while practicing shooting form since that is the most essential part among all the other factors. This entry was posted in Uncategorized on September 9, 2015 by Zhijun Sun. This was a great article. I love basketball and played in high school as well. You pointed out that some of the sweetest shooters in NBA history had a pure form, such as Ray Allen and Larry Bird. What about players such as Shawn Marion? He shoots from his chest but nevertheless it still goes in somehow. Shawn Merion’s shot is a strong inference that a good looking form does not cause a good jump shot. Regardless, it is still pretty awesome watching Steph Curry or Klay Thompson set their feet and let a smooth sailing jumpshot fly from beyond the arc. I love playing basketball and I found this article quite fascinating. 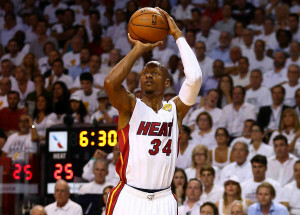 When I usually think of a player with a great shot, I think of Ray Allen. That man has one of the most beautiful forms of a jumper I have ever seen. Here is a video that I found that talks about the art of shooting, focused on Ray Allen. I concur with the finding in the article that a solid jump shot in basketball is helpful, but not necessary. Thanks for writing this article because it helped me focus on ways to get better at basketball. This blog was interesting to me because I am also a huge fan of the NBA. The thing about good shooters is that their release is so quick. Ray Allen and Reggie Miller are perfect examples. Another current superstar that is a good shooter and has a quick release is Stephen Curry. Here is a video about the science behind Stephen Curry’s sweet jumper, focused on the speed of his release and the trajectory of his shot.